I just love cute e-sessions, don’t you? I was so excited to see this one in my inbox a few days ago. 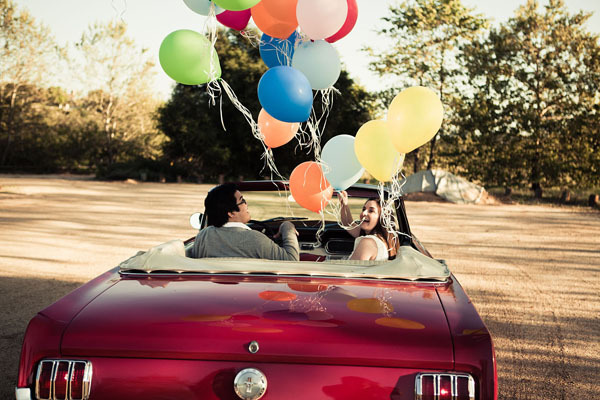 For their engagement shoot Erica + Joel incorporated elements from their first date, a drive-in movie where they saw the adorable flick UP! such a cute idea! 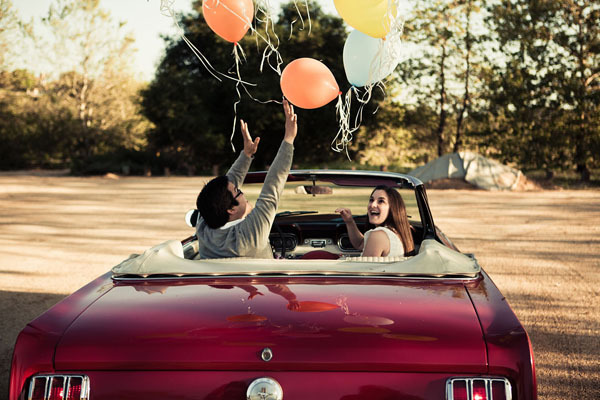 love the one with the balloons and the car. Great pictures! What a cute shoot! I love the balloons, so joyful and fun! Totally so cute. Loved UP so anything 'inspired by' is bound to be adorable! I adore this! So, so lovely! The balloons and ref. to UP! are so fun! Now this just makes me happy! 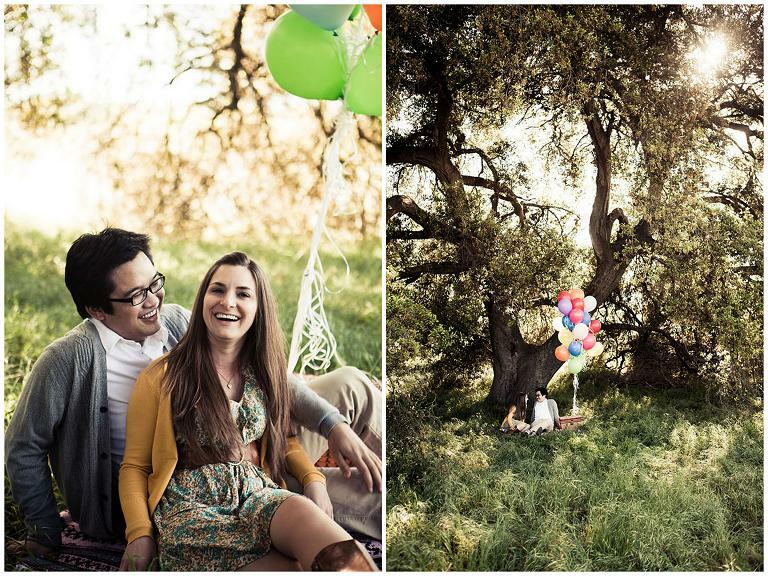 What a sweet, sweet shoot! What a cute couple, and a cute idea. Loved the balloons. 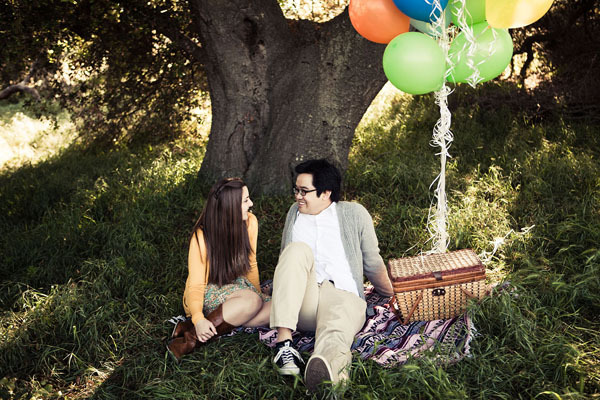 The shoot was adorable and represented the movie UP. 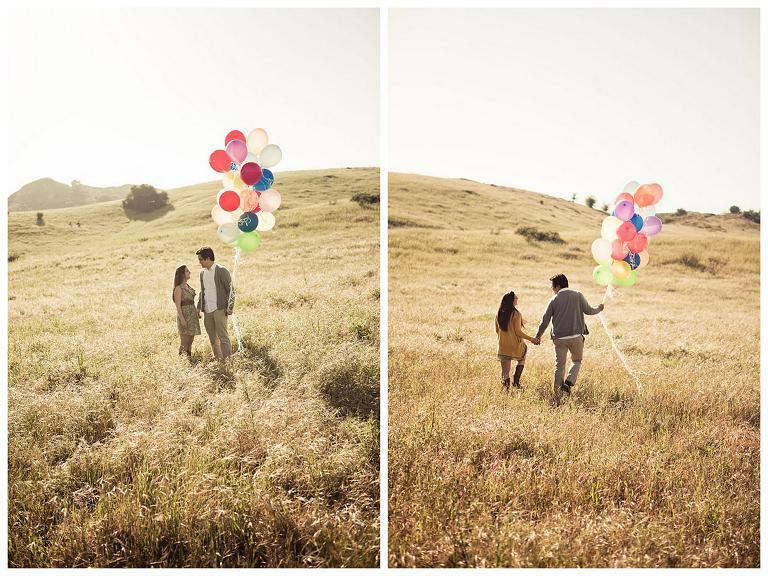 Love the balloons! Great touch! What a sweet, happy shot! 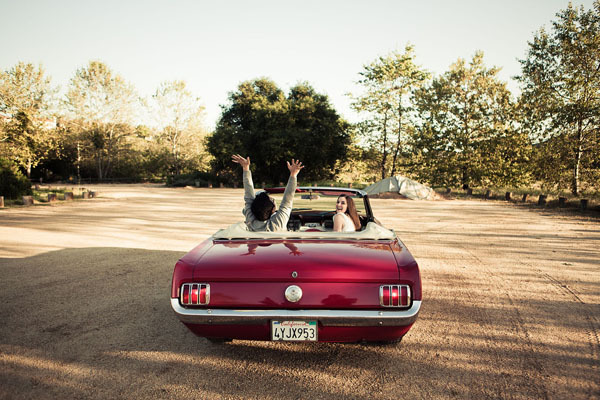 That vintage Mustang is too good to be true! 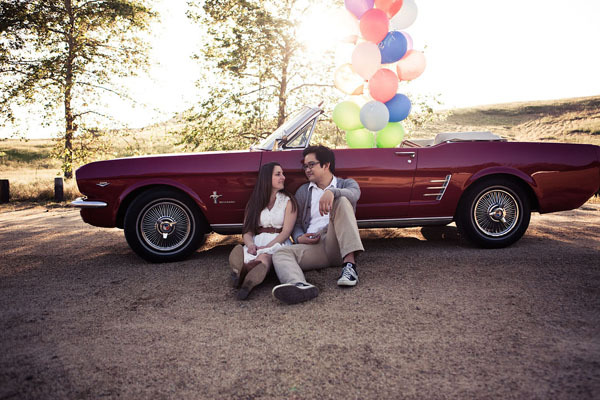 so very cute...love their driveaway car! 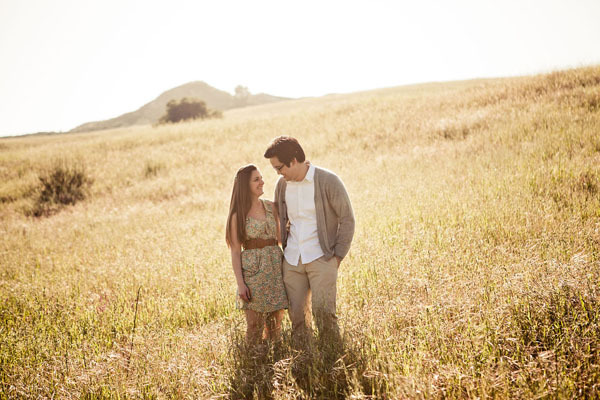 This is such a cute engagement session! 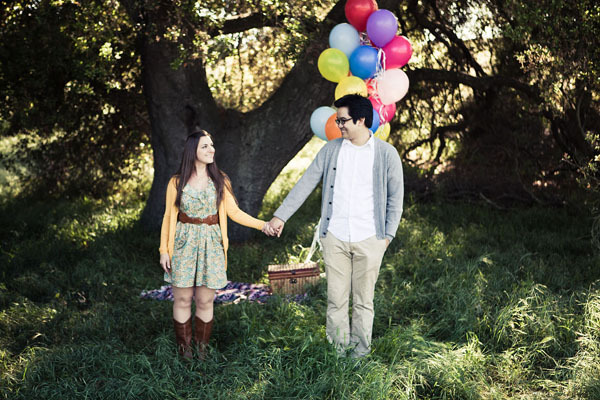 I love how they incorporated the balloons to symbolize the movie they saw on their first date. How adorable!! 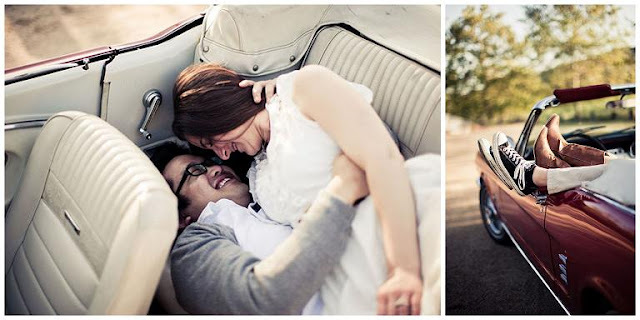 Super cute... with a very cool car!!! I would love to find a field like that to lie in the sun in for a while!! 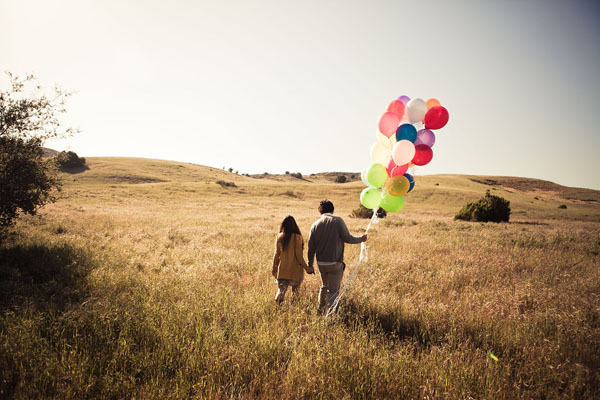 You had me at balloons! What a very fun shoot and super photogenic couple! Love the releasing of the balloons! Looks so fun! The coloring of these photos is amazing!